When you hear of professional transportation in Pittsburgh, Pittsburgh Limousine Bus probably comes to mind. This company is at the forefront of the transportation industry in the area with our years of dedication and professional service. There won't be a need to call any other company once you hear about our fantastic reputation and diverse fleet of vehicles. You'll find that we're the top choice for luxurious transport for a reason! Pittsburgh Limousine Bus is an amazing company with much to offer! Our employees work hard to bring you a fantastic service that's more than just a way to get from point A to point B. Our transportation gives you and your friends memories to look back upon fondly for years to come. After all, how can you go wrong with a company who puts you first, even before their own profits? With our money saving pricing, you won't break your bank trying to have a good time. With chauffeurs who have years of experience providing transportation, there's no better choice! 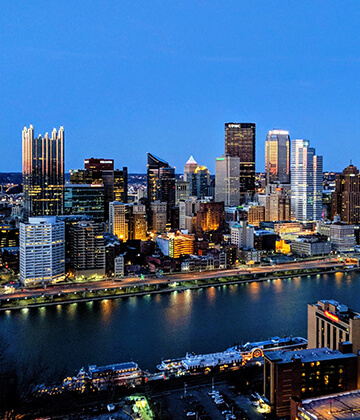 If you aren't convinced to book with Pittsburgh Limousine Bus yet, once you take a look at our vehicles, you'll surely be able to make a decision. There's a vehicle for every event, whether it's an elegant happenstance or a laid back party! Our vehicles are maintained consistently, and they're also insured to the fullest extent for your safety. With all of these things in mind, Pittsburgh Limousine Bus is here to make your night out one to remember. It only takes a phone call to begin your personal reservation! It was an absolute pleasure to work with Pittsburgh Limousine Bus, we had a blast on our journey. Your staff was friendly and knowledgeable throughout the entire process. We will definitely return in the future. Such a fun night. Thank you so much for accommodating us on such short notice, we know it took some doing on your end and just want to let you know we really appreciate it. You guys are the best! The kids loved your party bus! What an impressive vehicle, pictures just do not do it justice. I never though about renting for a kids' party before but I'm glad that I did! The kids had a blast. When my boss told me to find transport for 122 employees I didn't know if it was possible but sure enough I found your company and your staff was on top of it. I received the credit but it was all you, thank you.